Have fun playing great games with a 25% Pending Bonus up to $50! 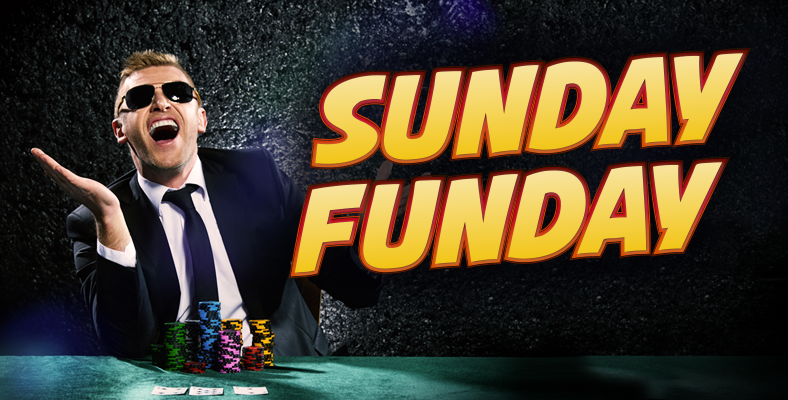 Deposit $25 or more with promo code “SUNFUNDAY” every Sunday and have a blast online with a 25% Pending Bonus up to $50 the following day! All you need to do is play casino games to release the bonus into your bankroll - $5 for every 30 status points you earn. 5. The bonus is valid from 00:00 until 23:59 on Sundays only. 6. The promotion code “SUNFUNDAY” is only valid for one deposit per Sunday. per $5 release into bankroll. 11. Only status points accumulated by playing casino games will count towards this promotion.